A comprehensive look at the first season of the 1000cc class, bringing you highlights from the opening race under the floodlights in Qatar through to the traditional finale in Valencia. The program introduces viewers to the descendants of passengers and crew, sharing the stories of what happened after their loved ones were lost. For the families of many on board, the sinking was just the beginning of their stories. On April 14, 1912, at approximately 23:40, the unsinkable RMS Titanic struck an iceberg in the North Atlantic Ocean. A modern marvel of technical mastery and nautical ingenuity, the largest passenger liner in service sunk under the waves four days into her maiden voyage, causing the deaths of over 1,500 passengers in one of the most infamous disasters of all time. As the world commemorates the 100th anniversary of the legendary tragedy with numerous events, Entertainment One (eOne) will release Titanic on DVD and Blu-ray only ten days after its premiere on ABC. 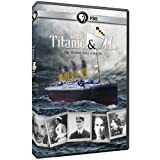 Penned by Oscar, Golden Globe and EmmyAward-winning Downton Abbey creator Julian Fellowes and BAFTA-winning producer Nigel Stafford Clark, the innovative miniseries presents an extraordinary re-telling of the doomed voyage, cleverly weaving action, mystery and romance across four engrossing hours. Love Story received seven Academy Award(R) nominations, including Best Picture, Best Director, Best Actor and Best Actress, and won for Francis Lai's magnificent musical score. It was also chosen as #9 on the AFI's list of the 100 greatest love stories of all time. 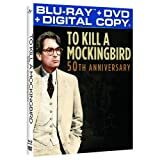 To Kill a Mockingbird, one of the screen's most beloved and critically acclaimed films, celebrates its 50th anniversary with a commemorative Limited Edition Collector's Series Blu-ray(TM) Combo Pack as well as on Blu-ray(TM) Combo Pack and DVD from Universal Studios Home Entertainment on January 31, 2012. The powerful and poignant adaptation of Harper Lee's Pulitzer Prize-winning novel hits the half-century mark, digitally remastered and fully restored from high resolution 35MM original film elements, plus more than three-and-a-half hours of bonus features chronicling the making of the cinematic masterpiece.